Two-story 4BD/2BA CBS home with 3500 sqft of living area located in Eden Pines. 75 ft. concrete dock with step down on one side. Kitchen, living/dining room, 2 bedrooms and 1 bathroom are on the upper level; entertainment area, 2 bedrooms and 1 bathroom are on the lower level. Privacy at it’s best. Double waterfront lot with a 2BD/2BA home. Only minutes to Bahia Honda state park and neighborhood boat ramp is right around the corner. Home offers an open floor plan with a great open air porch. Excellent for gatherings to enjoy your catch of the day! Make an appointment to see this charming home today! 3BD/2BA CBS Home in Tropical Bay Estate with easy access to Bogie Channel. Located on the no-bridge side. Cut-in boat slip and a 100 ft. of concrete dock with davits. Lots of great entertainment area including a large porch and a huge living/dining area. Over 2,100 sqft. of living space on a 10,500 sqft. lot. Spacious 3BD/2BA + study home with canals on two sides for a total of 200 feet of canal front! Private location with boating access. Screened porch, outside deck, each room has a private entrance on an 8,525 sqft lot on a cul de sac. This home offers the perfect balance between nature and the beautiful tropics. Southern exposure turn key 2bd/1.5bath canal front home ready to move in! This tropical get away offers beautiful pavers that lead you into a concrete dock where your boat awaits you on the recently installed 10,000lbs boatlift. Enjoy great privacy as one of the adjacent parcels is vacant land & the land across the canal is a lush yard for an existing home. It doesn’t matter what your job is or where you live; you will most likely be involved in selling real estate at some point in your life. While some find the process complicated and confusing, this article will provide you with strong tips and solid advice about the selling process, so when the day of selling arrives, you will be equipped with the proper knowledge. Add some energy efficient things to your home as soon as you realize you are going to list it for sale. Certain items such as LED bulbs and an energy monitor could raise interest in the home among buyers. This is because they don’t have to pay for these thrifty items themselves, and it also indicates that the home is energy efficient. Almost 1/2 and Acre of land in the Florida Keys! Two mobile homes on site. 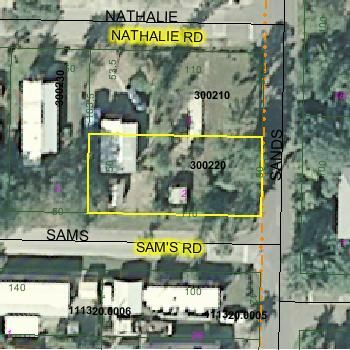 Comprised of 4 lots, this location has access to three roads and it’s perimeter is fenced. Located in Big Pine Key just 15 minutes to Bahia Honda State Park and a few minutes to local boat ramps, shopping and restaurants! Do you know everything about buying real estate? There’s so many small things you need to know. Some of the most expert buyers still learn new things all the time. Apply the advice from this article the next time you are planning on purchasing real estate; they will help you make informed decisions.